When you have to change the lens quite often it is inevitable that dust particles end up on the surface of the sensor and affect the quality of the pictures. 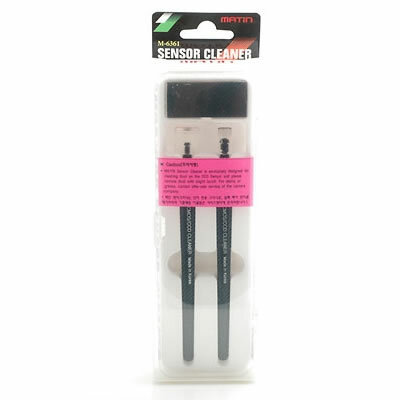 These cleaning pens clean the low pass filter (glass surface over the sensor) very gentle and yet thoroughly. The rubber tips of the cleaners are very soft and won’t cause any scratches on the low pass filter. They have a high adhesive power so that dust particles and other dirt cling to them easily. When done with the cleaning the dust can be wiped off of the cleaning pens with the aid of the cleaning mat. 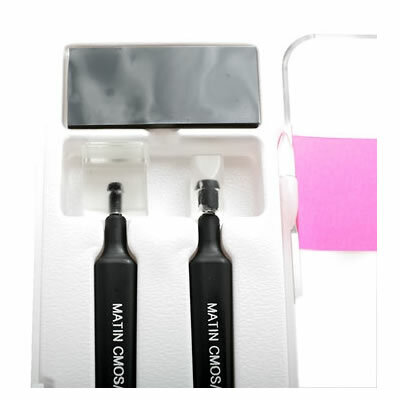 The set includes two cleaning pens: One with a broad tip for cleaning larger areas (about 1x1cm) and one with a small tip for cleaning corners. 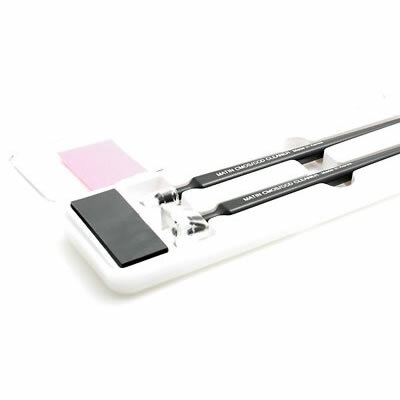 The rubber tips and the cleaning mat can be cleaned with water without losing any of their adhesive powers.